Girl 阅读 Book. I'd 爱情 to see this statue!. 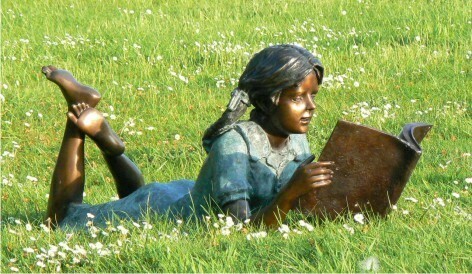 Wallpaper and background images in the 值得一读的书 club tagged: girl reading book statue books to read image. I'd 爱情 to see this statue! This 值得一读的书 photo contains 手推车, 花园车, 草坪车, 独轮车, and 鲍磊.